Simadi Makeup artist in kolkata ensure that you will appear outstanding in any sort of lighting, either indoors or outdoors by carrying the makeup simadi do. Each transformation includes cleansing, nourishing, foundation to powder; eyes, blush and lips. Simadi Makeup artist in kolkata presents the Bridal Makeup, Hair styling, whole makeup styling as to generate the picture-perfect look. Simadi will help you to look perfectly attractive. On your wedding day, you desire to look and feel your complete best. 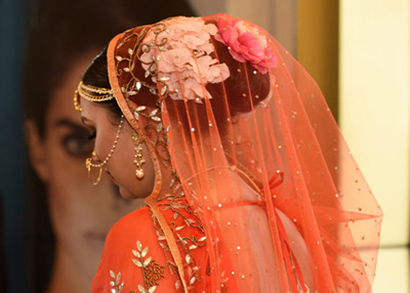 Which is precisely what Simadi Makeup artist in kolkata certify with our tailored bridal dress services. Our gifted and highly capable hair artists work to global standards, and endlessly upgrade their skills, so that our Hair Dressing & Makeup stays renewed, appropriate and excellent. Every bride wants to look exceptionally beauty and especially at the reception party of their bridal because that is the period when utmost people focus on the bridal makeup. Considerate the dissimilar skin tone of dissimilar brides, Simadi bridal makeup artist in Kolkata give the prominent and more lovely makeover. 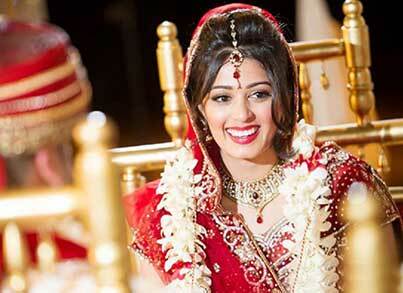 Without Mehendi & chandan application the bridal makeup remains imperfect. Simadi bridal makeup artist in Kolkata is skilled in chandan & mehendi application for bridal makeup. 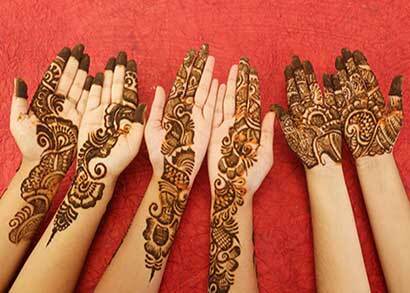 Simadi uses the natural chandan dust & herbal mehendi which will not harm your skin.